Earthy is a Leaping Bunny certified company that originally started as a household products company, but has since launched a line of personal care products. Earthy has a set of criteria all products must follow: plant-derived, non-toxic, biodegradability, gluten-free, and vegan. This company takes the extra step to not only create cruelty-free products, but are environmentally-friendly, as well. They are earthy, afterall. 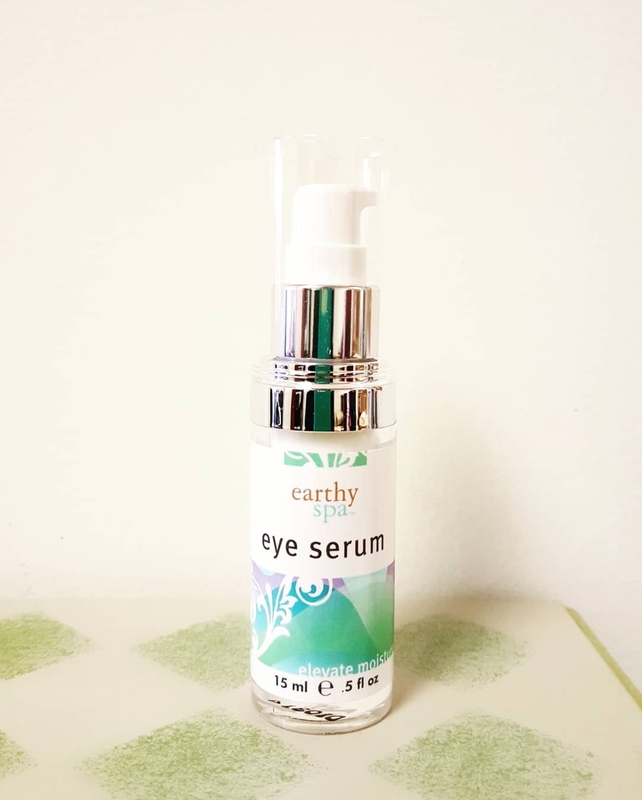 The eye serum is lightweight and helps to reduce puffiness and diminish the appearance of fine lines and wrinkles. The second ingredient (after water) is aloe vera leaf juice, which is known to hydrate and improve skin elasticity. Other ingredients include apple stem cell culture extract, chamomile flower extract, green tea leaf extract, and honeysuckle extract. By following the recommended application, twice daily around eyes (alone at night, under makeup for day), there was a reduction of puffiness around the eyes and continued to improve with lasting use. It's featherlight, not greasy or runny.